The simple truth is, Vacation Bible School is important because children are important to God. Christians know very well that Jesus said, “Let the little children come to Me. Don’t stop them, for the Kingdom of God belongs to such as these” (Matthew 19:14). One writer recently commented that there’s what he called “a graying of the church in America. Fewer children fill the pews than 30 years ago”. Vacation Bible School offers an opportunity to share the Word with children, in an exciting, entertaining, and learning way. Of course, the main reason children go to VBS is to have fun…so here at Malaga we find a way to weave fun and God’s Word together. Perhaps the most important thing about Vacation Bible School is that kids LEARN TO GO TO CHURCH; that church is a warm, friendly, enjoyable place; and kids learn there is fellowship, peace, security, and everlasting “hope” in the church and in the things it teaches. In conclusion we say Vacation Bible School is important because children are important to God. As members of a church and having a strong sense of Christian community, our “charge” is to do God’s work here on Earth. And there is no greater “work” than helping children grow and prepare for the best possible spiritual life. It’s an old-fashioned thing, but one that’s stood and passed the test of time because of its true and everlasting value. The 2017 Vacation Bible School by Cokesbury. 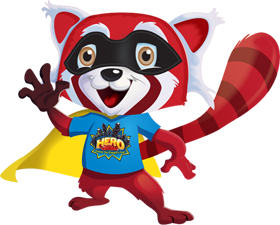 The kids went on some awesome adventures alongside some of their favorite Bible heroes and discovered the qualities that make us truly heroic in God. VBS Hero Central uses epic music, spectacular science, crafty crafts, heroic recreation, and fantastic Bible stories to help kids (and leaders) discover their strength in God! From the moment VBS begins, VBS Hero Central is designed to introduce a child to a deeper relationship with God through Jesus Christ. Each activity is developed, tested, and refined to be an engaging, age-appropriate experience to bring the word of God alive to every participant and volunteer. 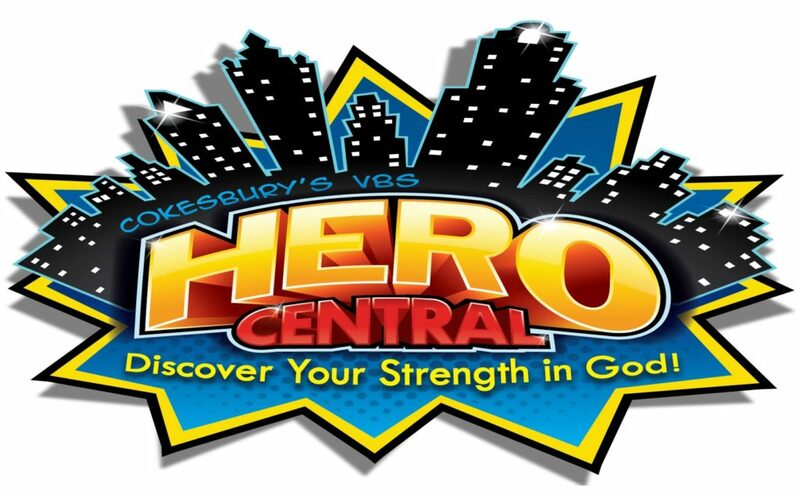 VBS Hero Central is based on the Bible and the gospel of the living Christ. 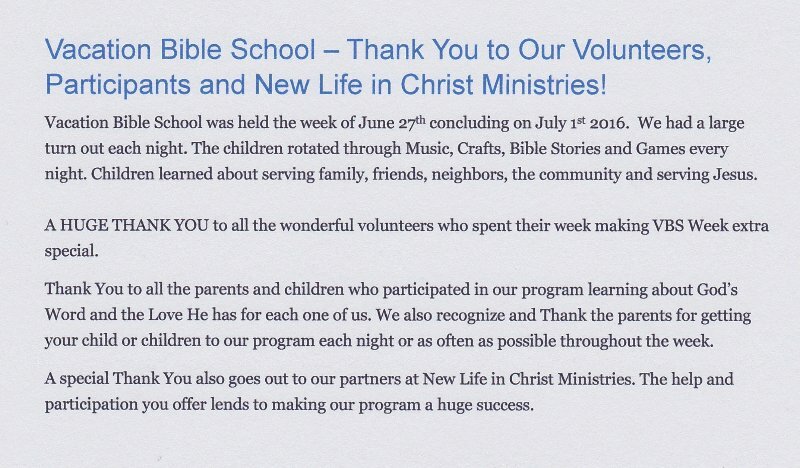 Malaga United Methodist Church partners with New Life in Christ Ministries for VBS as part of our community outreach. Our VBS features scripture lessons in a classroom setting (including an adult class), music, games, and crafts for the children. Dinner is prepared nightly starting at 6:00 pm, Opening Gathering in the Sanctuary nightly from 6:45 thru 7:10; VBS begins at 7:10 pm and closes by 8:30 pm. KIDS AND VOLUNTEERS DISCOVERED GOD IS WITH THEM—WHEREVER THEY GO! 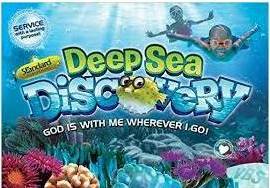 At Deep Sea Discovery, kids dove into God’s presence by delving deep into His Word to see how He has been with His people every step of the way. 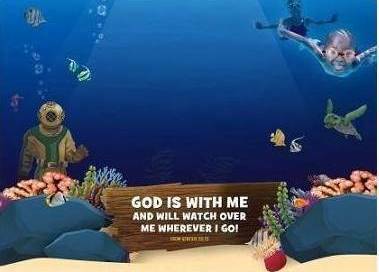 Every child sailed away each day saying “God is with me—wherever I go! He KNOWS me, HEARS me, STRENGTHENS me, LOVES me, and SENDS me!” Hands-on service projects and sea science helped kids experience a VBS adventure like no other! Kids and adults moved with the music and connected with the message through all new worship songs and music videos by award-winning Christian artist Yancy. 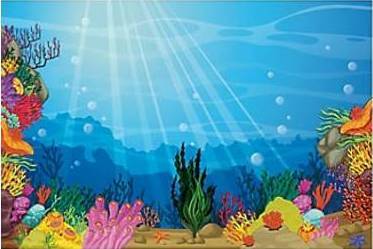 And with 8 new songs written especially for Deep Sea Discovery, Yancy’s music helped reinforce the meaningful message that God is with me—wherever I go! "Blast to the Past Bash" - We turned back the clock and turned up the volume - it was time to praise a God who loves us everlasting to everlasting! Blast to the Past was a time to worship, laugh, and learn with upbeat music, engaging skits, fun large group challenges, games and crafts. After the kids journeyed back from the past at the end of the day they were reminded of what God's love is and how He loves them - no matter what!